For questions about products, orders or fitment assistance, please contact the respective branch in your country. Features a maximum payload of 150kg for transporting heavier scooters. If you have any general questions, contact us. Our pivoting rear carrier systems AGITO 120 and 150 can be swung open completely to give you free access to the rear doors at any time. Even when loaded - no matter whether you are transporting your bicycles or a heavy scooter. 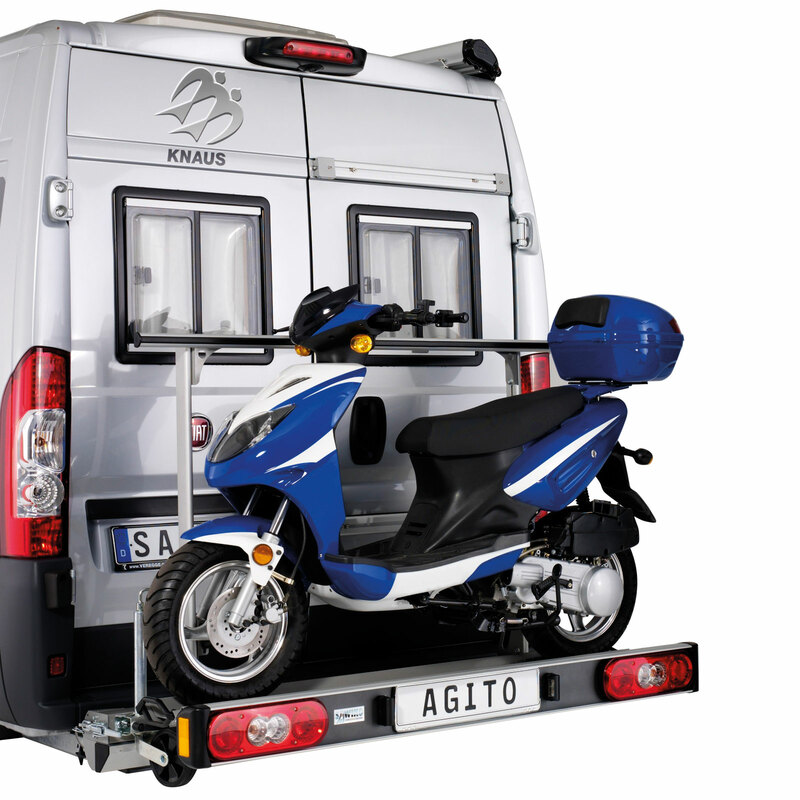 With the AGITO 120 you have up to 120 kg load capacity. This allows you to take a scooter or up to 4 bicycles with you. The AGITO 120 can also be completely removed. The sturdy construction is tailored to your weight requirements. In the higher load capacity class, the carrier has a maximum load capacity of 150 kg. The AGITO 150 can also be completely removed. Only the attachment elements remain on the vehicle. 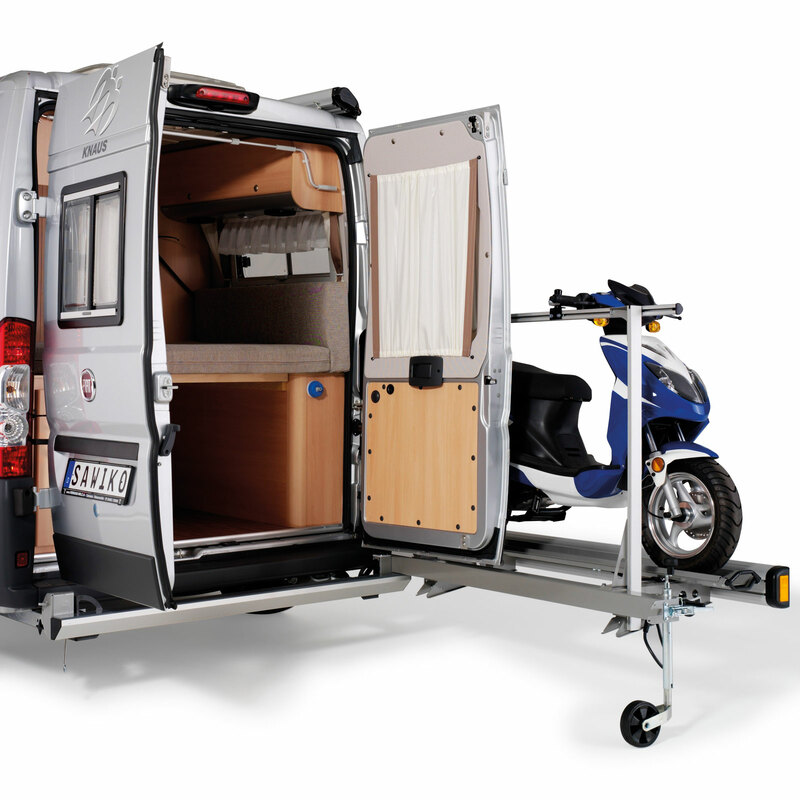 The AGITO 150 for a scooter or 1 scooter + 1 bicycle, allows the rear doors or tailgates to be opened completely by swinging the carrier to the side. Even when loaded. Simply by loosening the eccentric lock (adjustable) and positioning the support wheel (standard). 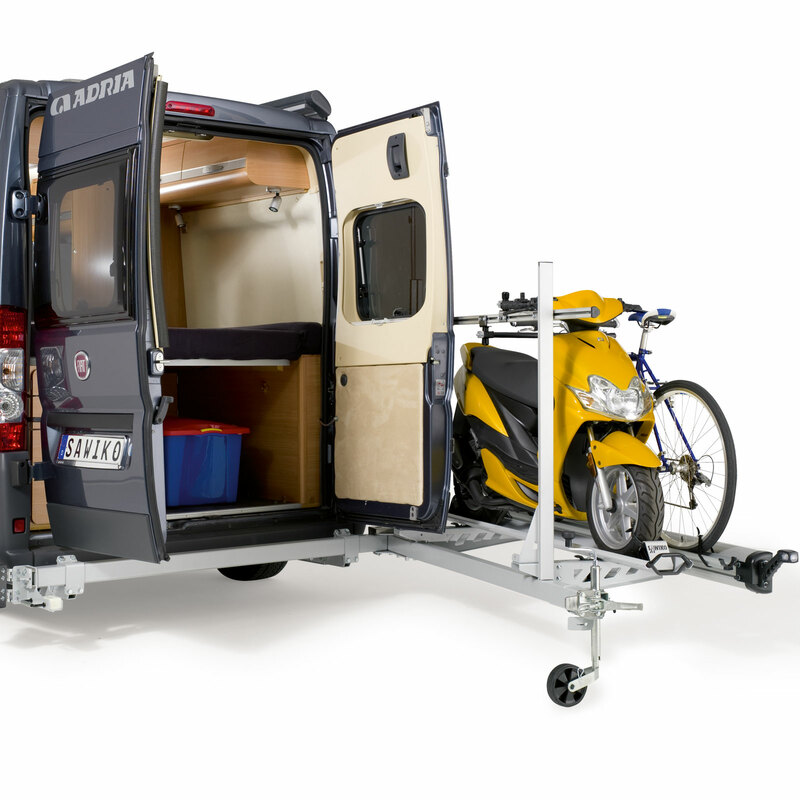 Ideal for loading and unloading your van. 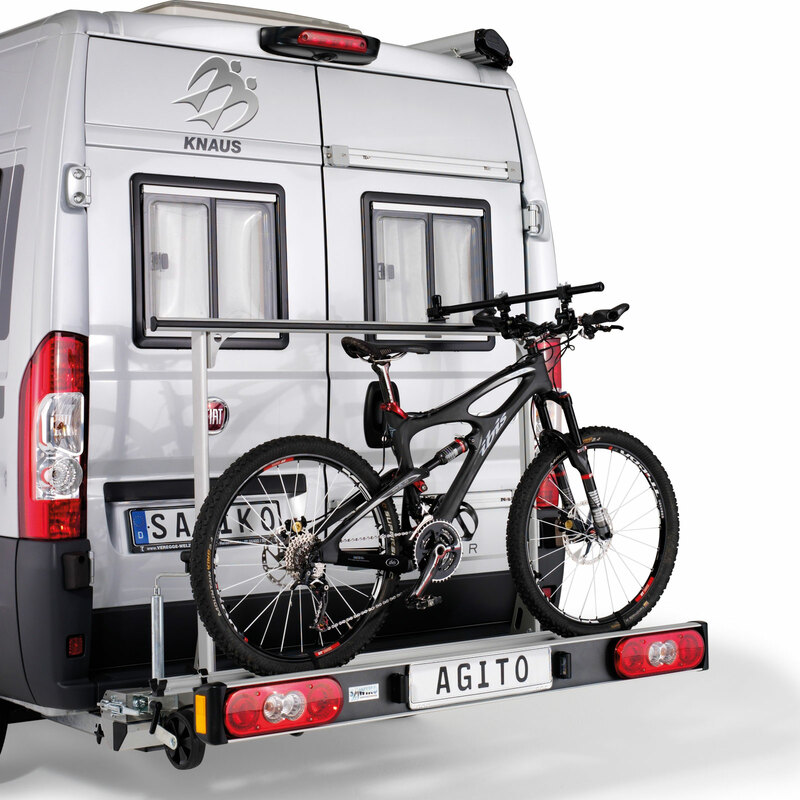 The AGITO 150 is suitable for almost all vans. As the user of a load carrier, you are responsible for correctly securing the goods being transported. 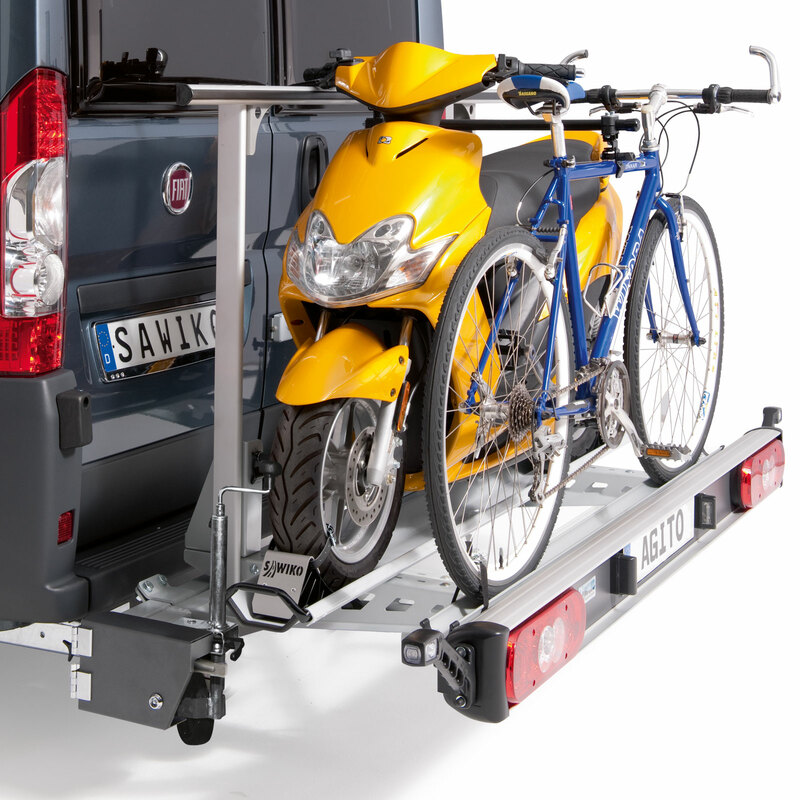 The 2 wheel chocks for the tyres, the handlebar retaining arm and the 4 tension straps help you to ensure optimum load securing for almost every scooter.